Education is a vital part of entering almost every profession, and this is doubly true for a career in the law. If you’re interested in working as a paralegal, a legal professional who assists lawyers, then one of the most important things you can do to assure your success is pursuing a paralegal education. There are many different ways that a person can acquire the skills and knowledge most conducive to paralegal work, but the most typical and successful option is participating in a traditional educational setting. Enrolling in a paralegal education program will give you the building blocks you need for a long, fruitful career as a paralegal. When someone has chosen their profession, they will usually want to start working as soon as possible. If you’re anxious to start your paralegal career, the best educational option for you may be either a paralegal certificate or a two-year associate’s degree. A paralegal certificate program will cover the basics of working as a paralegal, including some legal concepts, and is a popular choice with prospective paralegals who already possess a degree in another field. An associate’s degree will be a little more in-depth in terms of coursework, but will generally only take two years to complete. Courses can include introduction to law, legal research/writing and legal ethics. Trying to find employment as a paralegal can be extremely competitive, which is why many entering this field choose to pursue a four-year degree to make themselves more desirable candidates. If you choose to earn a bachelor’s degree in paralegal studies, you should make sure to only enroll in programs accredited by the American Bar Association (ABA). Paralegal studies bachelor’s degree programs will be focused on more advanced legal concepts and skills. During your degree, you will take classes such as criminal law and legal document preparation, and will learn how to perform useful tasks, such as drafting court documents and carrying out discovery tasks. After completing your four-year degree, it’s possible you may want to continue your education. Fortunately, there are several advanced education options that you could choose. For example, you could enroll in a post-baccalaureate certificate program. This will help to cement the foundational concepts of paralegal work and can serve as a stepping stone to a master’s degree. If you’re interested in working as a paralegal in a specialized field, such as real estate law, you could choose a graduate certificate program. These programs can be completed very quickly and will prepare you for your desired paralegal field. Finally, for paralegals who want to distinguish themselves from their peers, there is the option to earn a master’s degree in paralegal studies. 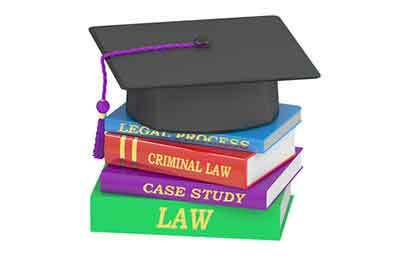 A master’s degree will teach you advanced legal concepts and will usually require that you complete an independent project. While a master’s degree will add two years to your educational track, it can vastly improve your chances of being hired at a top firm. If you want to improve the likelihood of a successful career and employment at the most competitive law firms, you need to complete a paralegal education. Whatever educational path you choose, you will be learning the skills necessary for top-level paralegal work.